Small business loans are the simple, smart and easy way to grow your business. 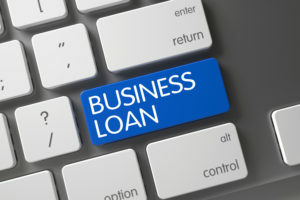 If you have a business plan and want a repayment system to match, if you require funding and financing to go on to bigger and better things, or if you are struggling to make ends meet then a small business loan could be for you. 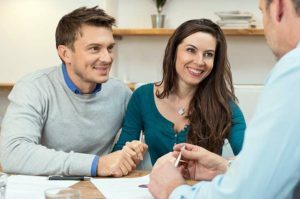 Applying for such a loan in Canada is often a fast and stress-free process, with a 95% approval rate and with financing of up to $2 million available. Loans are offered for businesses of all sizes and in a variety of interests, from luxury goods to restaurants and much more besides. This tried, tested and traditional way of introducing extra finance into your small business is available across Canada and from a whole host of different lenders and institutions. So what makes a small business loan the right way to finance your business? A small business loan grants merchants the chance to secure funding that is set to a fixed repayment schedule and maturity date. This means that you are fully aware of your monthly outgoings, enabling you to focus on acquiring credit to give your business a boost. Some businesses like the flexibility offered by alternative funding models such as a merchant cash advance canada, but traditional small business loans can provide an added layer of security. This is because the repayment is set at a steady level. These rates can be linked to inflation or set at a fixed rate over a certain number of years. Whichever model you decide, you will still be given the chance to inject some much needed funds into your work. The key to finding the right small business loan to you is to pay close attention to the extras. Finding a fair rate without any hidden fees or surprises is an important facet to consider. You may also be looking for a loan with flexible repayment terms. For example, such an agreement may see the opportunity to repay the loan amount early without encountering any penalties or addition fees. Of course, most lenders will offer automatic repayments as standard, leaving you to channel your energy into your business. The critical thing is to check the paperwork and make sure that the loan is working to your own best interests. If in doubt, be sure to get financial advice. Another important factor is the speed of your application. Once you have compared the available options and formulated a strong business plan, you need to speak to your lender or financial institution (or you can just apply here.) Often small business loans can be processed quickly, and typically a 95% approval rate makes these funds simple to tap into. Credit checks will be carried out and your business plan scrutinised, with lenders keen to offer a low risk but express process so it’s worth checking out your credit report. A fast decision on your loan means that this type of funding is ideal for emergency purchases, such as faulty equipment, increases in rent or leasehold, issues with inventory and more. With small businesses susceptible to problems like these, the safety net of outside funding offers traders security in uncertain times. How much funding does your business really need? It might be easy to make a dash for the cash, but an experienced lender will be candid and offer helpful advice to find the right amount of credit to build your small business. High quality lenders can offer up to $2 million, although typically in Canada this amount is around $500,000. How much you loan will depend on the individual circumstances. Emergency funds for a business that is struggling may lead to a smaller loan, whereas a sound and solid business plan with strong projected growth will probably invite more interest from the bank or financial institution in question. Each case is handled on an individual basis but a staid and solid plan is a sure fire way to ensure the maximum and optimum amount of cash provided. Many credit unions and banks in Canada also offer micro loans, aimed at small businesses who may struggle to otherwise attract investment. These may be offered on a region by region basis, but loans of around $15,000 could still have a huge impact on your business. Micro loans such as these are also a fantastic fix for emergencies that can suddenly affect a business’ performance. A flooded kitchen, a high turnover of staff, poor weather conditions or any number of short term problems can be dealt with speedily and efficiently with a short and sharp injection of funds. Some small business loans may be directed at specific sectors of a given industry. Loans such as these can be a way of tapping into funding channels that are closed off to others. It might also be worth considering your own specific circumstances. Small business loans for certain members of the merchant community may produce positive results: for instance, you may be a young entrepreneur and so apply for a small business loan that is set with a younger age bracket. Perhaps your gender, background, region or local community has specific small business loans that apply directly to you. Schemes like these are very varied but may lead to positive results. The advantage of taking out a small business loan is that with the strength of a business plan behind you, the funds raised can be spent and invested as you see fit. Your business may require new equipment or an upgrade of existing facilities. It could be to add to inventory or adding some brand new high quality staff members to the payroll. Maybe the loan could be to undertake some reinforcing or to raise capital. The possibilities are endless. What is a certainty is that new investment can help move your business on to the next level.